Amitabh Harivansh Bachchan, there are extremely few people on this earth whose each and everyday would have been counted. 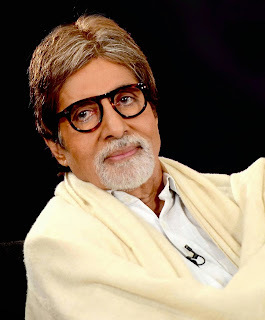 Amitabh Bachchan the living legend who turned 71 today, on 11th October 2013 would never have imagined a life, where every other eye on this planet would know him and would love to wish him in person for another 100 years of life. Such a life, which even dream can't give you, is live in front us with @Srbachchan. A life which started from 11th October 1942, Allahabad, Uttar Pradesh, had seen innumerable number of ups and downs and that is what we know it for "Life". He too lived many life in his real life as he did in his reel once. Sometimes you may not win, but that's a fact of life (He joined politics), you may have to go through a phase which you never created (Bofors case). As a whole, a life, fully cherished, lived and known.